Advanced Basement Systems is more than just your local waterproofing contractor. We are proud to be part of The Basement Systems® International Network, which is comprised of more than 300 elite basement waterproofing and crawl space repair contractor companies all across the United States and Canada. In business since 1987, the network is headquartered in a 92,000 square foot facility located in Seymour, Connecticut. How does Advanced Basement Systems benefit from being part of the network? As a member of the Basement Systems® International Network, Advanced Basement Systems is able to provide our customers with industry-leading products and warranties, while remaining committed to personalized service and custom solutions. 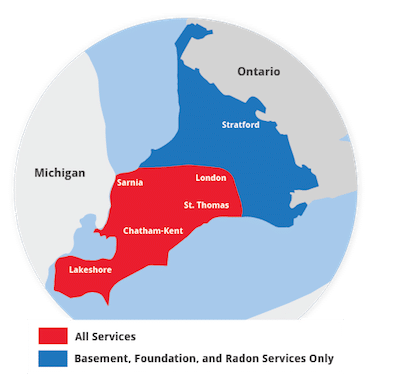 Learn more about our wet basement repair in Ontario or contact us online to schedule an inspection and estimate today!